Maruti Suzuki India Ltd (MSIL) has started offering an automatic transmission on the top-of-the-line Alpha trim of the petrol-powered Maruti Baleno. The new Maruti Baleno Alpha Automatic model has an ex-showroom price of Rs 8.34 lakh. The automatic transmission in question here is actually a CVT, which was so far being offered only on the mid-level Delta and Zeta trims. The new Alpha AT trim of the Baleno rivals the top-end automatic models of the Honda Jazz and Hyundai Elite i20. This hatchback is being sold thru Maruti’s premium Nexa dealerships. The new Maruti Baleno Alpha Automatic (CVT) model gets high-end features like a touchscreen infotainment system with Apple CarPlay and Mirrorlink. The new variant should help this car further enhance its appeal. The Maruti Baleno is one of the most popular cars in India today. Recently this upper B-segment hatchback crossed 2-lakh sales mark (since its launch in 2015). Maruti manages to sell an average of 16,000 units of this car every month. The ever burgeoning popularity of this model has translated into a waiting period of up to 6 months in some cases. 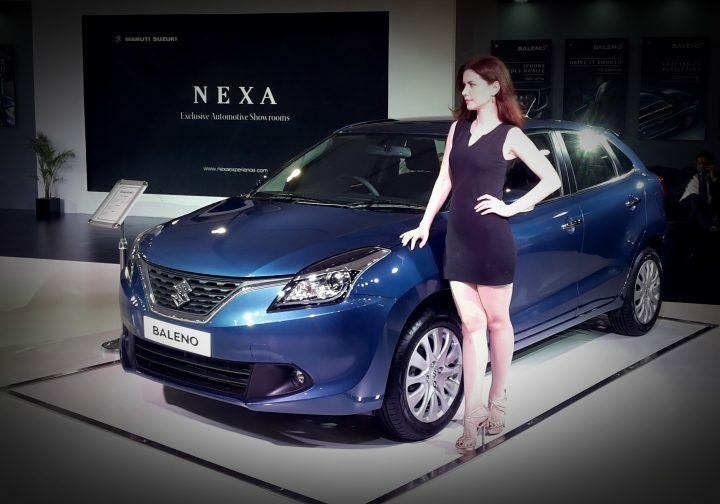 The company launch the Baleno RS model earlier this year. 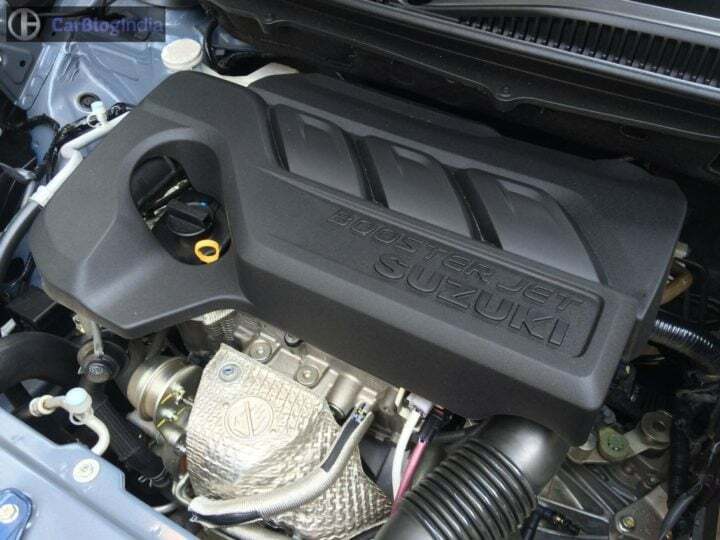 The Baleno RS comes with the much publicized 1.0-litre Boosterjet Petrol engine. It rivals models like the Volkswagen Polo GT TSI. Maruti recently slashes prices of this hatchback by up to Rs 13,000. The price cut came at the back of GST implementation, which saw prices of most cars being reduced by a considerable margin. The Baleno range now starts at Rs 5.26 lakh and goes all the way to Rs 8.42 lakh (ex-showroom). 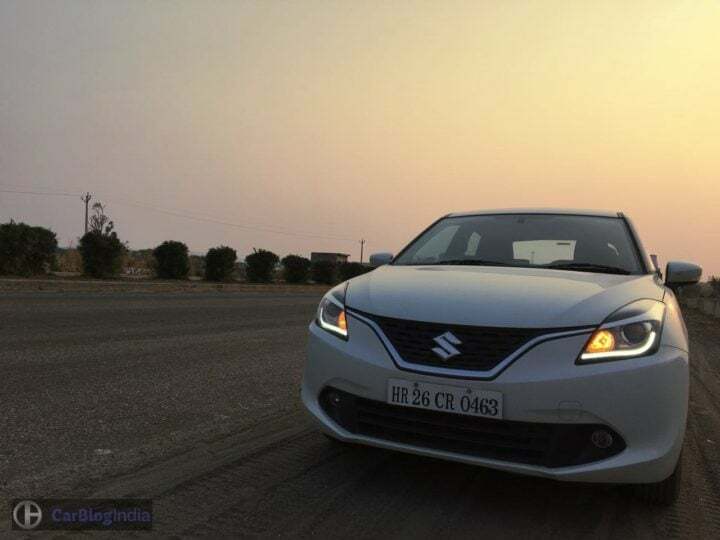 Prices of the Baleno RS saw a massive reduction of Rs 32,000, thereby making it considerably better value-for-money. The Maruti Baleno RS now has an ex-showroom price of Rs 8.37 lakh. We drove this car on the Buddh International Circuit. You can read our test drive review by clicking on this hyperlinked text. The new Maruti Baleno Alpha Automatic has gone on sale in at a Pan-India ex-showroom price of Rs 8,34,052. Compared to the Baleno MT, the new CVT-equipped model costs as much as Rs 1.06 lakh more. The Alhpa trim of the Diesel model, which is available with a manual transmission only, costs Rs 8.42 lakh. Thus, the price of the new model gets dangerously close to the Diesel version. However, let’s not forget that the premium gets justified through the added convenience it has on offer. The Baleno Petrol gets a K-series 1.2-litre petrol engine that’s known for its brilliant refinement and high fuel efficiency. It outputs a max. power of 83 BHP and a peak torque of 114 Nm. The automatic transmission in question here is actually a CVT, which was so far available only on the Delta and Zeta trims. Stay tuned to CarBlogIndia for more on the Maruti Baleno. Also, do you think the new Maruti Baleno Alpha Automatic model is a welcome addition to the range? Do share your views by commenting below.